We all have seen assistant coaches around the world using sheets of paper and scribbling down the game statistics for their team while sitting next to the coach. The same assistant coaches then had to spend an hour or more compiling those scribbled data into a Box Score which they could analyze further. 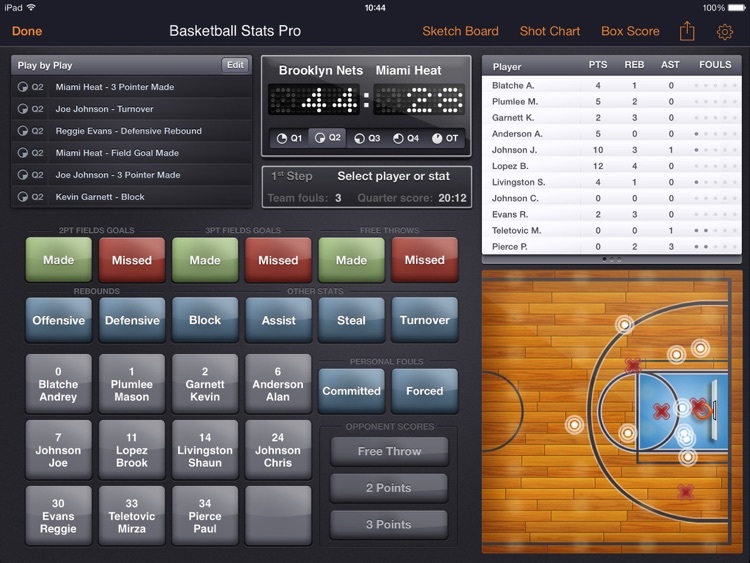 Basketball Stats PRO Lite app for iPad scraps both the paper and the grueling process of stats compiling and delivers an easy to use stats tracker, which allows coaches, assistant coaches, scouts, parents or basketball fans to track stats of their team right from their iPad. 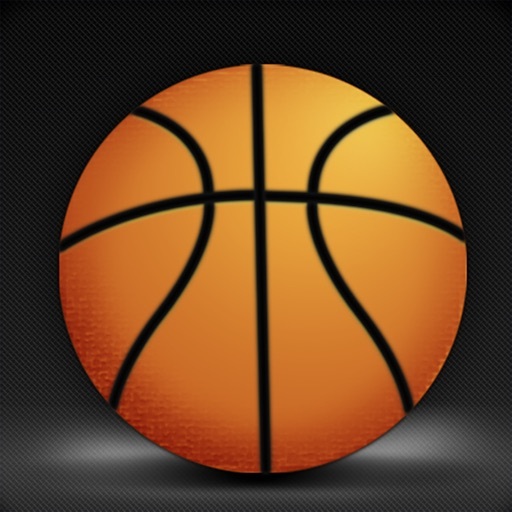 All the inputted stats are instantly compiled to show the current stats of your team, this will allow coaching staff to have all the stats updated and ready at any given time during or after the game. 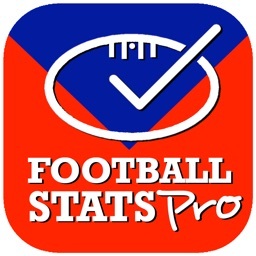 Inputting stats is a very easy process, since you have buttons that represent each player in the roster and all the stats categories. You just tap on a player and the stat and it will automatically get added to the game. 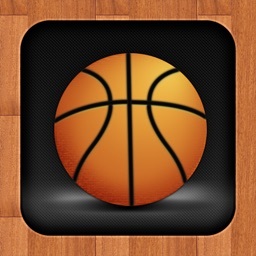 For two and three point shots (hit or missed) you also tap on the area of the court where the shot was taken from. 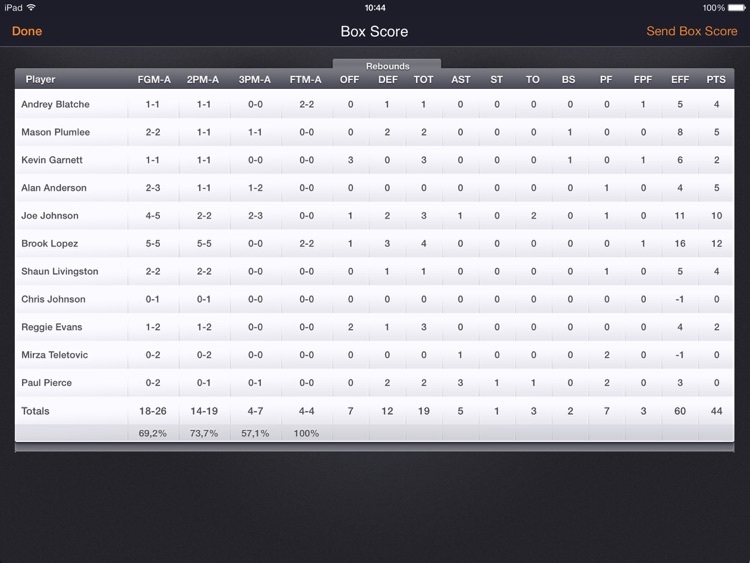 You can view the complete Box Score with just one tap and send it via email to anyone around the world. 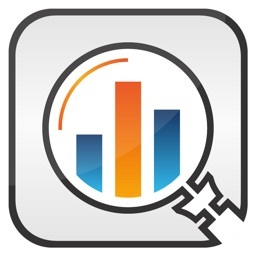 All the inputted statistics are written to a local database (no internet connection needed), thus you can view stats of a given player for not just one game, but all the games where the player has been involved in. 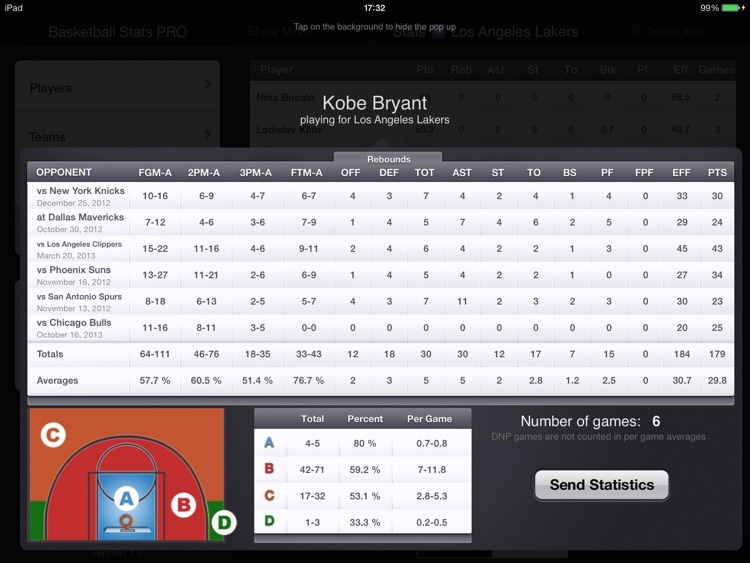 Statistics view for a player will show box scores for each game as well as compiled total and average stats. 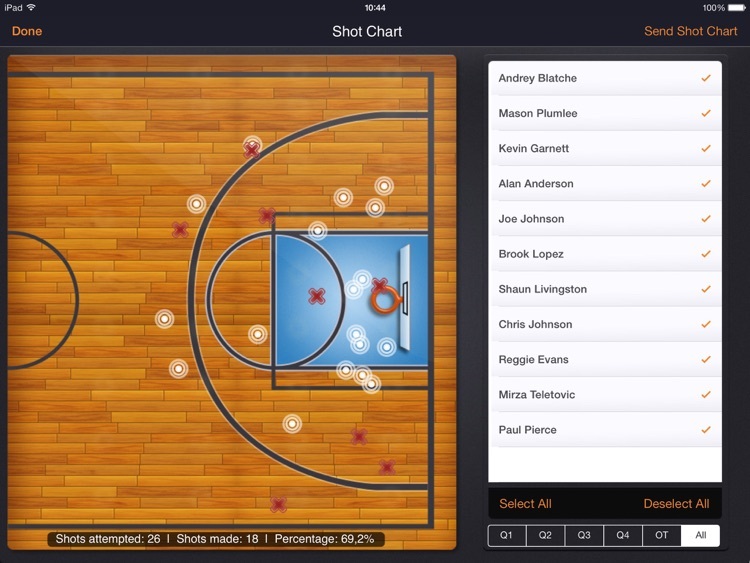 You can even see the stats of players shots based on where they were taken (inside the paint, mid-range, 3 point shots from the corner and other 3 point shots). 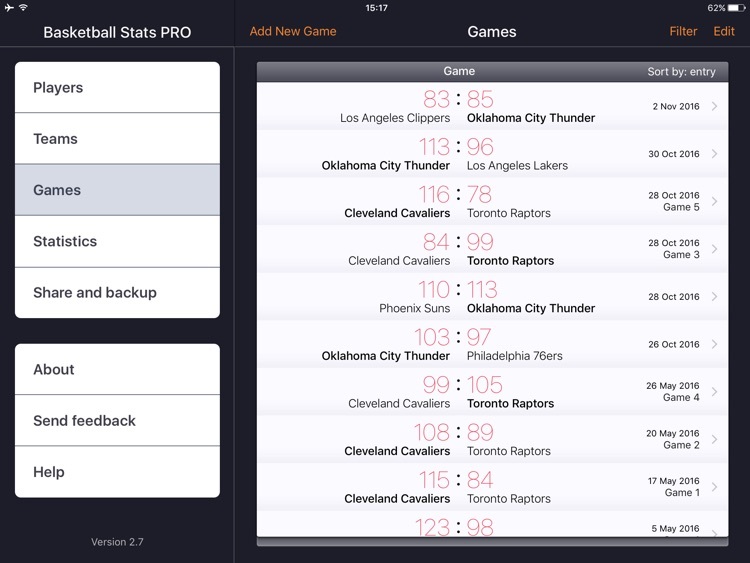 You will soon realize that this stats app can really help you with efficient stats input and analysis after the game. 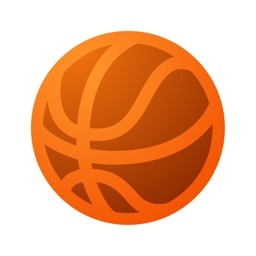 The app also features Sketch Board, where you can draw your plays using 4 different colors and pens, and best of all you can save all the sketches and view them later on or send them via email. 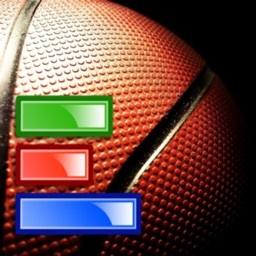 Let Basketball Stats PRO Lite take your stats to the next level!